New smaller capsules with more EPA. 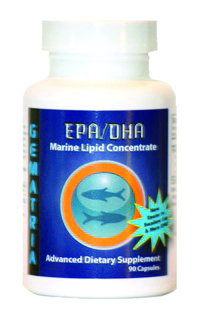 Of all the health supplements that may be ingested, essential fatty acids (EFAs) are among the most beneficial and important. Without these essential fats, the heart and brain become less efficient, and a general predisposition to degenerative processes can occur.